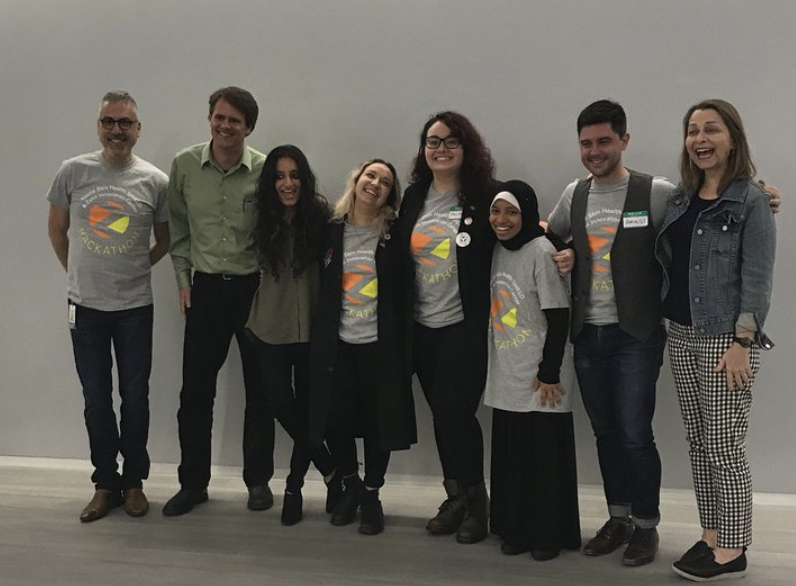 This semester, the Zahn Innovation Center teamed up with Nestle Skin Health SHIELD to bring together different departments and programs across the City College campus (from BIC to the CUNY Medical School) to form interdisciplinary teams and compete in a one day Hackathon. 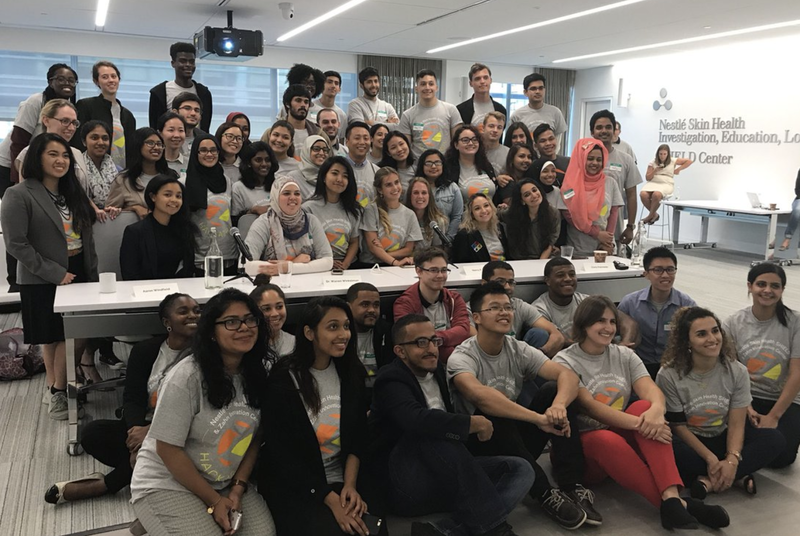 Competitors got serious at a Design Sprint on September 8th and then came together for an all-day Hackathon on October 6th at Nestle Skin Health SHIELD headquarters in midtown Manhattan. Teams were tasked to come up with design solutions -- from apps or wearables, to skincare products, to marketing campaigns or multi-media projects -- that address some aspect of skin health. Students interested healthcare, technology, dermatology, engineering, research, business, or just in healthy skin, joined forces to build something innovative. One BICster was among the 13 teams to physically pitch their ideas on Friday evening. Guess which team won? The one with the BICster!! Surabhi Govindarajan (BIC '18) and her team “Skin the Know” won first prize for creating an app that recognizes the ingredients in skincare products and helps consumer to understand their efficacy. First prize included a $3,000 award. The Hackathon is the culmination of a partnership between Lindsay Siegel, Director of the Zahn Center, and CCNY alum Dr. Warren Winkelman, Senior Medical Director and Head of Medical Innovation at SHIELD. As he’s stated about the Hackathon approach: “Events like this represent what SHIELD is about: multi-disciplinary and multi-generational collaboration to advance skin wellness through innovation, both low tech and high tech.” BIC Program Director Nancy R. Tag and CUNY School of Public Health Professor Chris Palmedo joined Dr. Winkelman and Aaron Windfield as judges of the pitch. 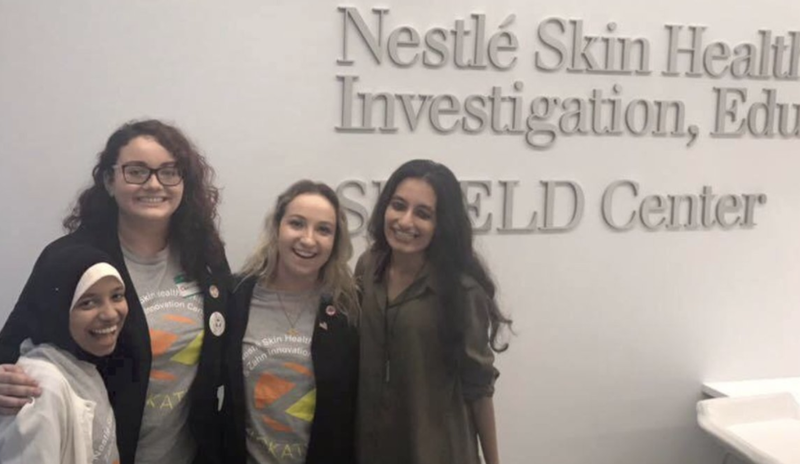 Nestlé Skin Health SHIELD is a global network of innovation and education hubs gathering today’s most creative and visionary thinkers from diverse disciplines to generate, develop, and incubate ideas to advance skin health for tomorrow. SHIELD explores creative partnerships, new concepts, and technologies to help preserve lifelong skin health; mitigate the emergence of skin conditions; and integrate the skin dimension into the public consciousness, discourses on policy, and the organization of age-friendly spaces.